“Who is Gomez? Nobody knows.” The person who issued this cryptic statement was none other than Gomez himself — Leonel Gomez Vides, a coffee farmer from El Salvador who showed up in Southern California on the doorstep of poet Carolyn Forché in 1977, with a bundle of papers under his arm and his two young daughters in tow. Within a few days he persuaded Forché to make her first trip to El Salvador, just as the country was on the verge of civil war. In What You Have Heard Is True, Forché traces how this initial encounter with a stranger irrevocably changed the course of her art and her life. Forché was 27 at the time, a Midwesterner living in San Diego, with a budding reputation for her work. She had heard Gomez’s name before, when she travelled to Spain to translate the poems of his cousin Claribel Alegria, though nobody could say for sure whether Claribel’s cousin was working with the Salvadoran guerrillas or with the CIA. 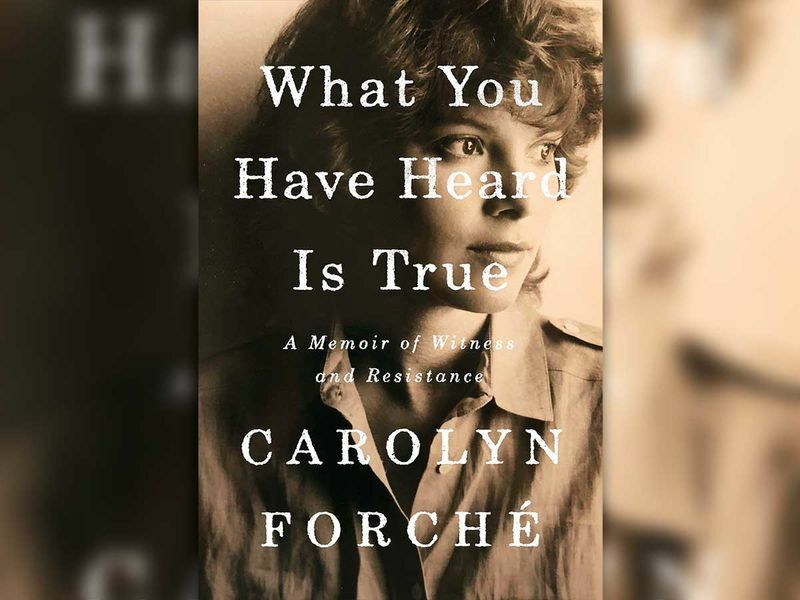 Until the publication of this memoir, Forché’s experiences in El Salvador — seven “extended stays” between 1978 and 1980 — have mostly stayed distilled in her poetry. The Colonel, collected in The Country Between Us (1981), begins with an elegant dinner at a colonel’s home (rack of lamb, green mangoes) and ends with him emptying a grocery sack full of human ears onto the table — ghastly trophies from a dirty war. Taking its title from the first line of that poem, Forché’s memoir starts off slowly, as she describes in minute detail how she made the fateful and seemingly inexplicable decision to follow a mysterious stranger’s directive to take such a perilous trip. But once Forché’s story gathers momentum, it’s hard to let the narrative go. What You Have Heard Is True is billed, per its subtitle, as “a memoir of witness and resistance.” That’s fair enough, but it does this riveting book a mild disservice; the memoir I read was more intricate and surprising than such an earnest descriptor lets on. Once Forché arrives in El Salvador, Gomez drives her around in his white Toyota Hiace, constantly glancing in the rearview mirror, a handgun tucked into a copy of Time magazine between them. He takes her to the countryside to meet with peasant farmers, or campesinos, who don’t have enough to eat. He takes her to the US embassy, where the ambassador warns her against Gomez because “we don’t know who he is.” Gomez even takes her to El Salvador’s military headquarters, where he talks candidly to a lieutenant colonel about how all the disappearances are making the army look bad — before he asks whether he might use the lieutenant colonel’s shower. She realises that what Gomez calls his “symphony of illusion” — “He talks to this one. He talks to that one.” — turns out to be the only way for him to help reformist efforts against a murderous regime while trying, as much as he can, to protect himself.